Posted January 20, 2012 in Mat Nastos, The Hulk, The Thing. 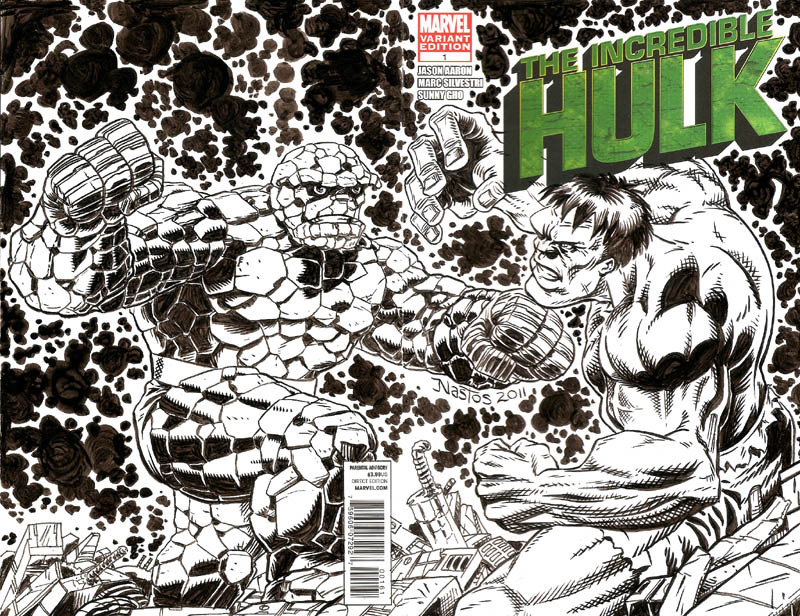 Hulk vs Thing sketch cover by film/TV artist, director and writer Mat Nastos. Mat’s comic work has been published by Marvel, DC, Warp Graphics and his self-publishing company, Nifty Comics. You can find more of his work at his website and DeviantArt page.